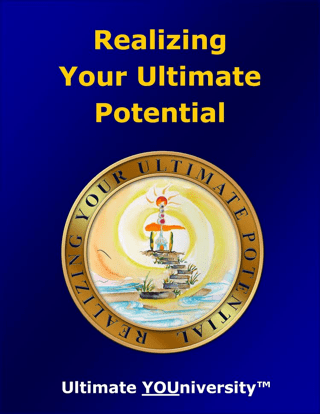 Your Ultimate Potential is beyond anything you have ever dreamed of. And it can be reached if you consistently focus on it! Potential is like an acorn—it might seem insignificant to us, but the acorn knows exactly what is possible for itself. Just put it in the right environment, give it a little water and sunshine, and it starts its journey without hesitation. A few years later, it may be a towering giant oak tree. Realizing Your Ultimate Potential will help you provide the right environment to become the YOU you’ve always wanted to be. This digital program provides a window into your soul that helps you see yourself differently, think about your life in new ways, face the things you may have been avoiding, and understand who you really are. It helps you find the hidden greatness standing in the shadows inside yourself, and slowly coaxed those possibilities out into the light of day. 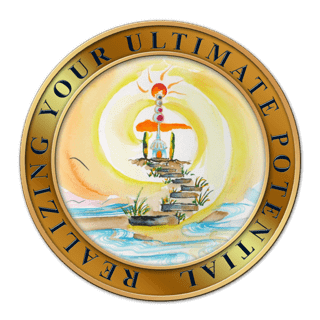 Realizing Your Ultimate Potential nurtures your ability to create a vision of your life as you would like it to be, using fun and insightful self-discovery tests and exercises. It then guides you to set goals, create action plans, and surround yourself with the people who will support your vision of a new life. There is little in life that is as important as becoming who you really are. To spend your life avoiding, resisting, or neglecting your own potential is to spend your life fighting your Self! We all fear ridicule and failure, or worry about what spouses, children, or friends will think if we make any deep or serious changes in our life. However, in order to realize your full potential you have to face these fears and go beyond them. Do you know what you would love to do? If you are like the rest of us, you have something you have always wanted to try, to experience, to do, to become. Like many people, you probably got caught in the nets of immaturity and inexperience and have been working to make ends meet ever since. Perhaps you’ve been avoiding taking responsibility for yourself and have gotten into the habit of blaming every little person and circumstance for the things that upset or disappoint you. It nurtures your ability to create a vision of your life as you would like it to be. It then guides you to set S-M-A-R-T goals, create action plans, develop disciplined mental and emotional habits, and surround yourself with coaches, mentors, and cheerleaders who will help and support your vision of a new life. The opportunity to learn is to be celebrated. And that is exactly what we do in this interactive program from Ultimate Destiny. We celebrate you, all that you have learned thus far and acknowledge how it has contributed to who you are and the personal growth you have achieved. After helping you assess what you have done and how it has helped you, we will then walk you through a process of planning how you can continue to attain personal growth and reach your full potential. Simplify and coordinate your growth steps by coming back repeatedly to this succinct resource. Enhance your control of life and getting what you want—what you learn here will naturally affect all you do. 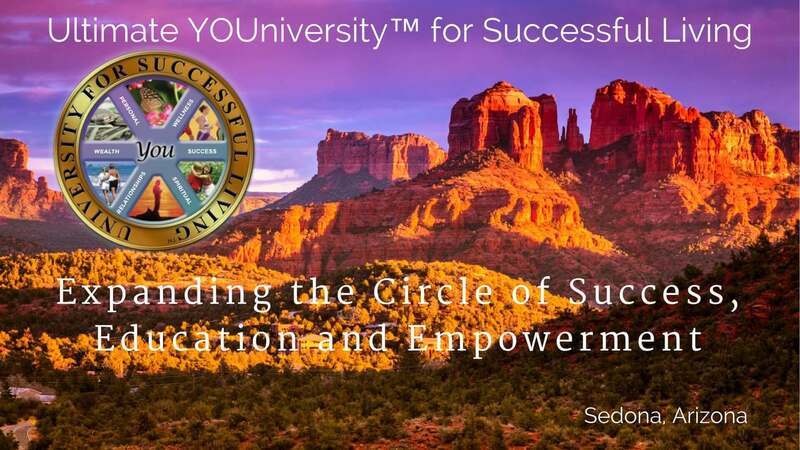 Realizing Your Ultimate Potential includes featured resources including printed and digital book, audio and video programs, seminars, workshops, webinars, tele-seminars and live events from some of the top resource providers in the world. 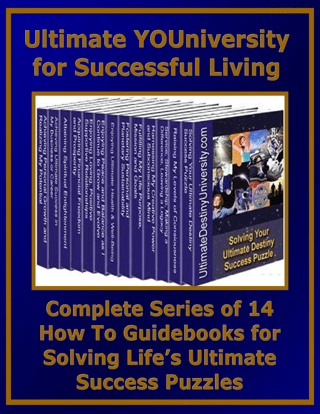 Realizing Your Ultimate Potential is a Treasure Chest packed with 110 pages of original content, fun and insightful self discovery assessments, Master Goals Setting Forms, Implementation Action Planning Exercises and several FREE BONUSES. It is now available at introductory sale prices as an E-book or printed book.